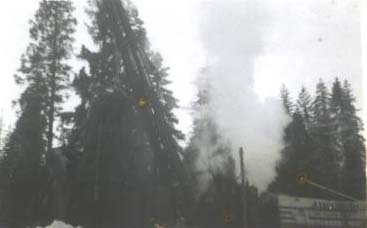 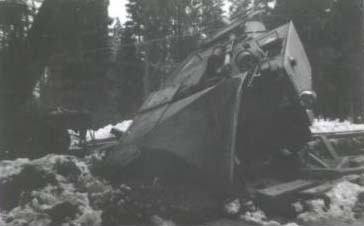 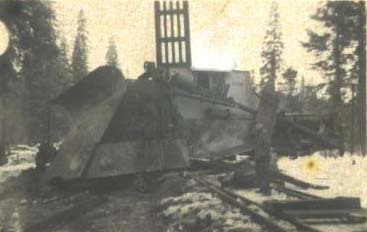 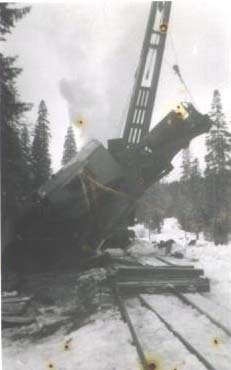 Trackage on the McCloud River Railroad has almost always been light and sometimes uncertain, which has posed many problems for the company as new technologies came into use. 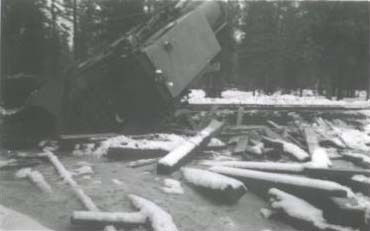 The first diesel on the railroad- the #28 in 1948- spent most of its early career on the ties rather than on the rail, and it continued to end up on the ground until the trackwork improved. 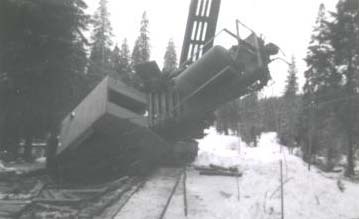 This same process repeated itself when Jordan spreader #1850 arrived on the railroad in 1952. 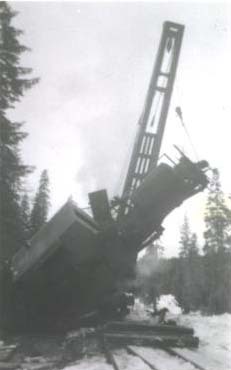 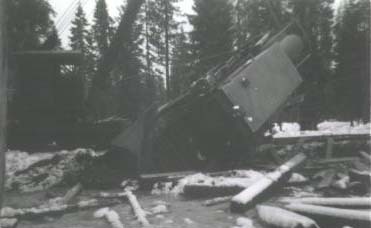 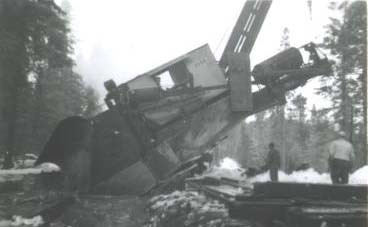 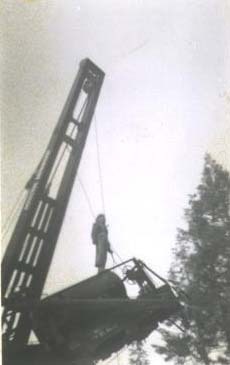 This series of shots shows one of the early cranes retrieving the Jordan after one of its many early ventures off the rail and into the woods.